Welcome to the last of this year’s monthly updates. We hope you have enjoyed reading them and seeing a bit more behind the scenes of Smile For ME. Thank you for all your support this year, your kindness really does means a lot. Hope you had the best Christmas possible. We were thinking of you all during the festive period but especially those who were too poorly to celebrate, sending lots of love your way. This year we sent a total of 146 smile presents to ME sufferers and their carers. All the presents were individually chosen, wrapped and posted with love to create a smile. Thank you to those who sent us lovely messages and pictures, we loved seeing the responses. You always say it makes you smile but hearing from you always makes us smile so thank you. As well as sending our regular smile presents this year we wanted to do something special specifically for carers. During National Carers Week we teamed up with Bear Hugs and sent 56 special smile hugs to deserving carers to remind them just how much they are appreciated. Thank you for all your support this year which enabled us to create so many smiles. You can see more pictures of recipients of smile presents from this year and previous years on our smiles page. As always we try to focus on the positives and this year there has been lots to smile about. In terms of Smile For ME we have had a great year. We sent a record number of smiles, had some amazing people show their kindness and generosity by supporting us and we turned 6 years old! On a more personal note my smile of the year was managing to get outside and sit in my garden again after nearly 4 years of being bed bound 🙂 We love hearing what has made you smile so below are some of the responses. What made you smile this year? To end the year we just want to say thank you. Thank you to everyone who has supported and shown love to this year’s shops of the month. Many M.E sufferers are not able to work due to their health but some run online shops from their homes so we wanted to try and help in a small way by shinning a light on them. It has been lovely hearing the response to this. The quote ‘When you buy from a small business an actual person does a happy dance’ sums it up and even more so knowing it is a fellow ME sufferer doing a happy dance. Thank you to those who run the shops and all those who have supported. A huge thank you to those who have donated money to us this month and throughout the year. Thanks to you we have been able to send lots of smiles which would not have been possible without your kindness and generosity. We cannot thank you enough for your support. Thank you to everyone who bought and sent Smile For ME Christmas cards. Thank you to Pippa Stacey and Spoonie Survival Kits. Their fundraising for us has come to an end and they raised an amazing £500, we are so grateful. 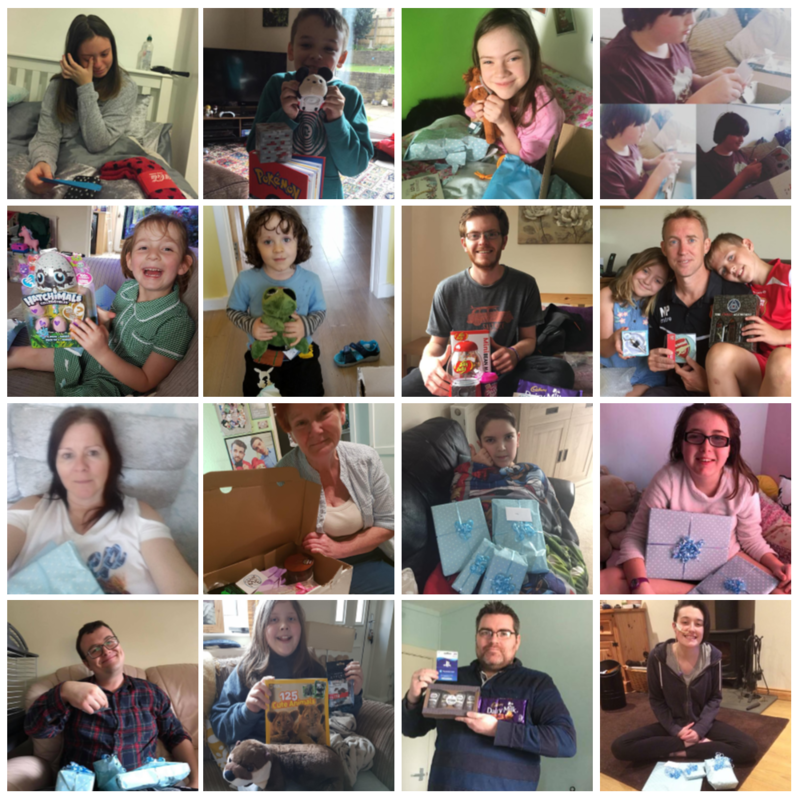 Thank you to everyone who supported, you were great and helped Spoonie Survival Kits reach their donation target in record time. A special thank you to our biggest fundraiser of the year Lucie Forrest with the ‘In her name Lucie‘ year of fundraising. 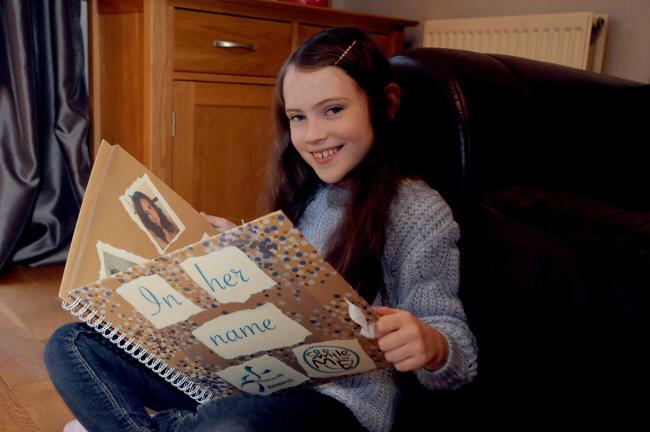 On Christmas Day 2017 Lucie started a year of fundraising with friends and family getting involved doing activities in her name, raising awareness and funds. They raised an incredible £3000 to share between Smile For ME and Invest in ME Research. Thank you so much to everyone involved in making it a big success and raising an unbelievable amount of money to help us create lots more smiles. Thank you for deciding to keep it going into the New Year, we can’t wait to follow along and see what adventures you get up. You can donate to Lucie’s fundraising page HERE and keep update to date on her facebook page HERE. Wishing you all a very Happy New Year and all the best for 2019. Thank you so much for all your support this year. We can’t wait to share more smiles in the new year.